The number of For Sale by Owner transactions fell to a record low of 7 percent of all home sales in 2018, down from 8 percent last year, according to the National Association of REALTORS®’ 2018 Profile of Home Buyers and Sellers. 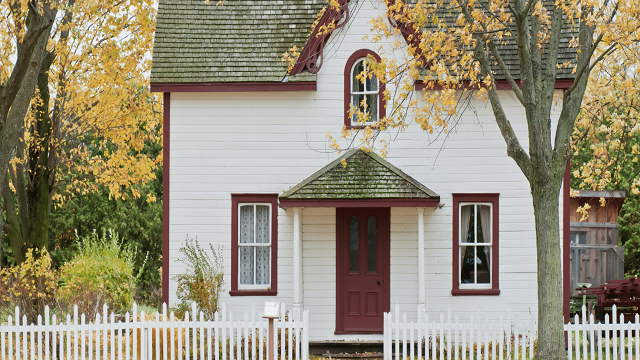 FSBOs—homeowners who try to sell their properties themselves without a real estate agent—have decreased dramatically since 1981, when they accounted for 15 percent of all home sales. Today, consumers rely heavily on real estate agents, with 87 percent of home buyers using real estate agents last year, according to NAR’s report. Sellers—90 percent of whom listed their homes in the MLS—placed high priority on the following five benefits of using a real estate professional: market the home to potential buyers (20 percent), price the home competitively (20 percent), sell the home within a specific time frame (19 percent), find a buyer for the home (14 percent), and help fix the home to sell better (14 percent). Sellers by far say the agent’s reputation is the most important factor selecting an agent, at 31 percent. 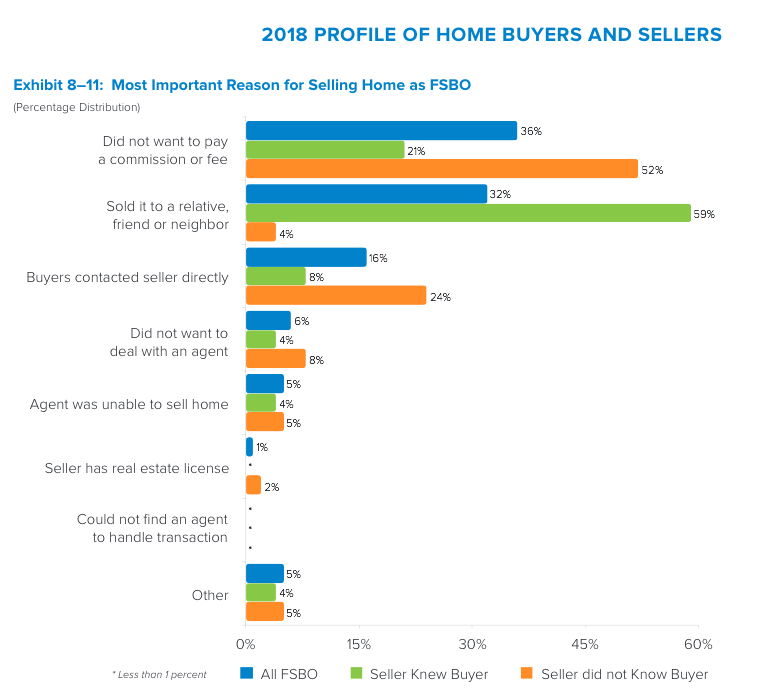 Sellers also placed high value on the agent’s trustworthiness and honesty (19 percent) and whether the agent was a friend or family member (15 percent). 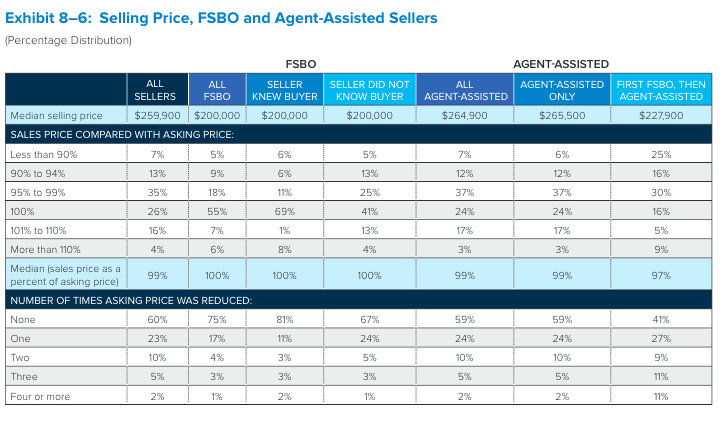 Most FSBOs, on the other hand, say they decided not to use an agent because they sold to a friend, relative, or neighbor, according to the NAR report, which also showed that FSBOs typically sold for less than the selling price of homes represented by an agent. Questions? Call us now at 949.254.5544 and we’ll help you sell your home above asking price!